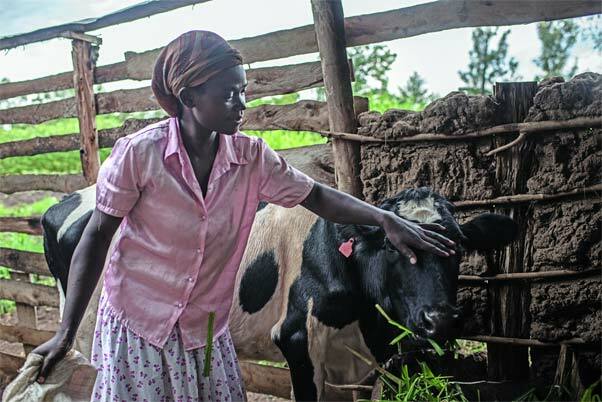 Nearly 30 years on from its launch by a group of UK West Country dairy farmers, the charity Send a Cow is making a big difference to people’s lives in seven countries in Africa. With its new campaign under way, Farmers Weekly finds out what the charity hopes to achieve and how farmers abroad are benefiting with the help of their UK counterparts. Endeavours such as this support SDG 1 No Poverty, and SDG 2 Zero Hunger and are a great example of SDG 17 Partnerships for the goals in action. Addressing hunger and malnutrition (goal 2) is key to advancing goal 3. This review and meta-analysis provides national, regional, and global estimates of lactose malabsorption, which can guide identification of likely causes of gastrointestinal symptoms and their optimal management, and also guide policy—eg, when choosing food for provision during famine outbreaks. Bangladesh is one of the world's most vulnerable countries to climate change. This study combines environmental and human elements to assess socio-environmental outcomes. It examines the implications of climate change on poor communities dependent on fishing for their livelihoods, exploring the interconnectedness of SDG's 1,2, 14 and how they will be impacted by SDG 13.